Welcome to Scott Hebert Interiors, Inc . We utilize high end quality manufactured products to bring beauty and practicality to your residential or business space. 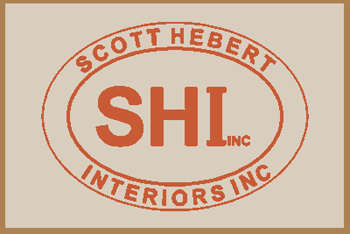 Scott Hebert Interiors, Inc is a leading commercial and residential flooring, wall covering, and ceiling solution company providing everything you need from one source including product selection, installation, maintenance, and support. "Let us incorporate beauty and practicality in your commercial or residential space, whatever your needs!"